When you think of your classroom what are some of the words that come to your mind? Now reimagine the classroom, improved and redefined. A place where students spend the majority of their day and continuously feel the love and safety that their parents entrust to educators every day. The overall goal as a teacher, educator, facilitator is to help shape our children into future leaders of tomorrow. This begins with modeling kindness and positive behaviors that instill encouraging attitudes in our children. 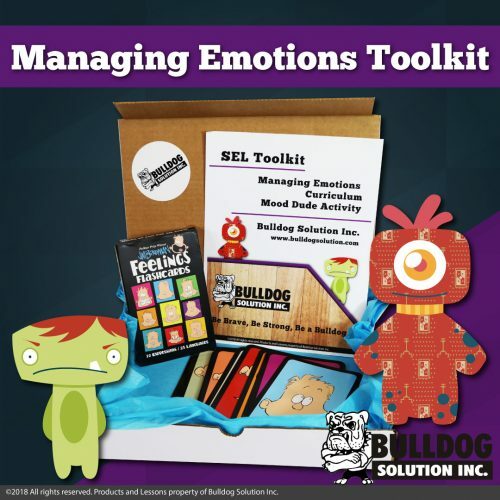 Teaching and modeling kindness is a big part of Bulldog Solution’s overall emphasis on social emotional learning, which will help children understand their emotions, express empathy, and increase their self-esteem. We cannot think of the classroom as an unaffecting entity, but rather a second home. Children will either look forward to the classroom or will dread its existence, much of which is shaped by how we fill our classroom. A loving classroom will be filled with positive affirmations, active listening, encouragement, and respect. This is especially needed for students who are coming from unstable home situations. The classroom is truly their sanctuary and opportunity to grow and see love. As educators, we are one of the biggest role models for children. Our children are with us on average 6 hours a day, 180 days a year. This is a large amount of time and large amount of influence that an educator can possess. There are a number of factors that are influencing the happiness and health of our children during those times: cyberbullying, peer pressure, and neglect. Be the person that students can turn to when they are in need. This comes solely through a positive role model relationship between an educator and their students. which occurs when an individual feels happiness after giving to others. Encourage them to think about the specific qualities and characteristics of the individuals that they look to for support in these situations. Becoming a role model for kindness involves not just an internal change, but also an external one. 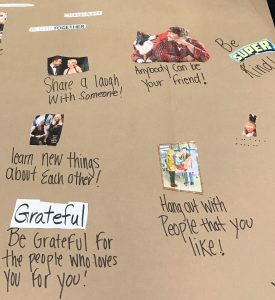 Creating a classroom environment that is filled with positive words and encouragement, known as reminders of connectedness, can be a continuous external reminder for children. Reminders of connectedness include pictures, stories, and quotes. 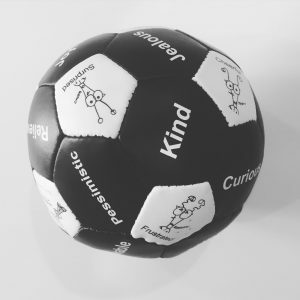 These can be sources of support for children when they look around the classroom and see these words, which embrace them like a gentle hug and show the warmth of the classroom. The kindness that we bestow upon our children is an intentional act that is to help make them become better. Never think your actions are not being watched and modeled. Children are like sponges and can absorb our positive behavior, if we abide by it. As Mahatma Gandhi said” Be the change you wish to see in the world”, that starts with your important job as role model to our young generation. Let’s create a generation of children that refuse to passively let the world become more and more cruel. I have read so many articles or reviews about the blogger lovers except this article is really a fastidious paragraph, keep it up.